Ann Marie Morris, age 51, passed away at her home on Wednesday, May 17th, 2017, with her husband, Rick, by her side, while recovering from surgery. Ann was born in St. Albans on October 4th, 1965, to the late Raymond Julius and Colleen (Palmer) Paquette. She attended school in Georgia and graduated from Bellows Free Academy, Fairfax in 1983. Ann loved people, children, animals, laughing and especially her grandchildren who she helped nurture. She loved camping, Myrtle Beach, mud bog racing in Johnson, Jeff Gordon, the Red Sox, The Cowboys motorcycle rides, barefoot living and the ability to tell people where they stand with her. Ann leaves her loving husband, Rick Morris, of Swanton; daughter, Amber Paquette of St. Albans; her twins, Nicole Judkins and husband, Theo, of Troy, New York and Nathan Thompson and wife, Hilary, of Bridport, Vermont and her son, Chad Paquette and wife, Jenn, of St. Albans, as well as eleven grandchildren. 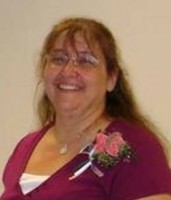 She is also survived by her sisters, Melissa Domiano and husband, Michael, of Menife, California and Joanna Massuco and husband, Brian, of Keene, New Hampshire; her brothers, Julius “Jay” Paquette and fiancé, Tina, of Georgia and Lester Paquette of Burlington, and several nieces, nephews, special aunts, uncles and cousins. Ann also leaves her brothers-in-law, Nick and Sharon Morris, of Greenfield, New York and Jerry and Jackie Ovitt of Greenfield, New York and Michael Billings and Jean Carpenter of St. Albans and sister-in-law, Gerrilynn Jacobs of Saratoga, New York and special friends, Stephane Walker and Bobby Walker and Laura and Dean Riley. Ann was predeceased by her parents; sister, Mona Billings and step-daughter, Anna Alger. Ann’s family will greet friends on Wednesday, May 24th, 2017, from 2:00 to 4:00 and 7:00 to 9:00 PM at the Heald Funeral Home, 87 South Main Street, St. Albans. Gifts of remembrance can be sent to Rick Morris, c/o Heald Funeral Home, 87 South Main Street, St. Albans, VT 05478 to care for her precious grandchildren. To send a written expression of sympathy or share a memory, please go to Ann’s on-line guest book at www.healdfuneralhome.com.